Want to prepare lobster in a new and exciting way? 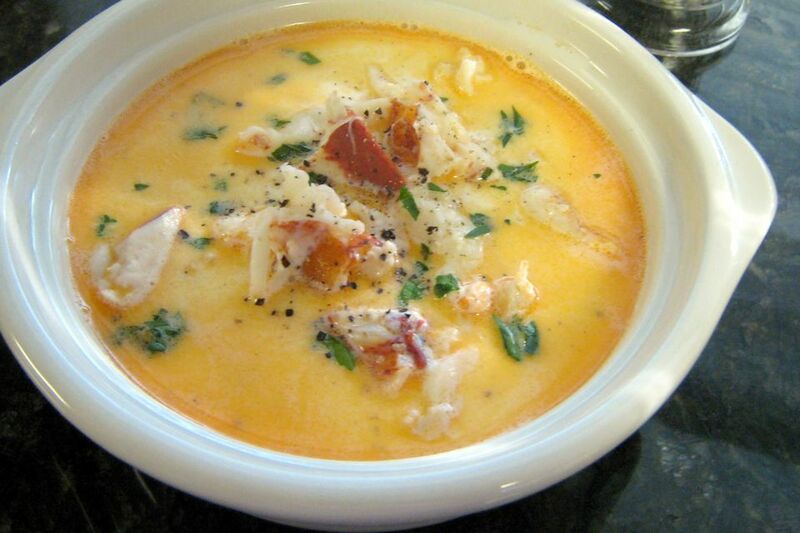 This lobster stew is ideal for cooler months but could be served any time of year. It is relatively easy to make and quite delicious and offers a new take on serving seafood. Purchase whole lobsters or buy lobster meat pieces to put into the stew. Either way, you've got a tasty comfort food that is sure to delight everyone. Lobsters are generally low in fat though they are extremely high in cholesterol. In fact, they have just 1.2 grams of fat -- and no trans fat -- but have 212 milligrams of cholesterol (or 70% of what you're supposed to eat in one day). A cooked lobster boasts 28 grams of protein and is also high in vitamin B-12. While the stew does add butter and milk that increase the fat content, it can be enjoyed occasionally as part of a healthy diet. Remove meat from cooked lobsters. Cut meat into cubes and fry in a generous amount of butter (4 to 6 tablespoons) until very lightly browned (be careful not to burn the butter, or use clarified butter). If you are using pre-cut lobster meat, simply add it to the butter. In a separate pan, heat milk but do not boil it. Add the lobster meat to the hot milk and cook slowly for five to 10 minutes. Stir in the heavy cream and bring it nearly to a boil but not over. Add salt and pepper to taste and a little paprika for color. If desired, stir in a dash of sherry for extra flavor. Garnish with sliced green onions or chopped parsley if you want to add some color to the stew. Canadian lobsters will be cheaper to buy in the early and end part of the year. Maine lobsters will be more affordable if you get them during the summer or early fall. If you buy a whole lobster for this recipe, steam it as opposed to boiling it so it is most flavorful.